Seeds for Sale - Early Order Special - Buy Now | Mark Hershey Farms Inc. This time of year during the busy harvest season, it can be really tough to think about planting next year’s crops. But if you get a chance on the next rainy day, take a few minutes to do some early planning and take advantage of our pre-season pricing for the 2014 year’s seed. Mark Hershey Farms is offering special pricing to our Feed Customers and our Grain Customers. This is in addition to the Early Order and Quantity Discounts already being offered. 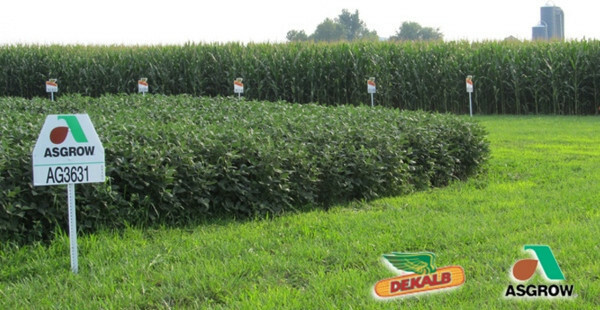 • GMO and Non-GMO Seed Corn is available NOW! • Order by November 15th for best pricing! Call Seed Representative, Craig Heistand for details at 717-673-2896. It’s never too early to PLAN AHEAD for 2014 and SAVE!